Prominent & Leading Manufacturer from Vadodara, we offer oil level gauge. 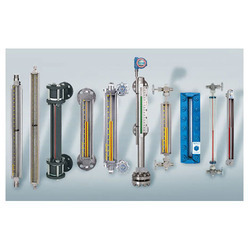 We are a paramount organization that is engaged in manufacturing and importing a vast array of Oil Level Gauge. All these products are manufactured using high grade material that is sourced from vendors of high repute after scouring the market. These instruments and controls can be customized on the basis of the specifications detailed by customers at industry leading rates.